Juan Jose I am re-activating this expired deal and it works as described. 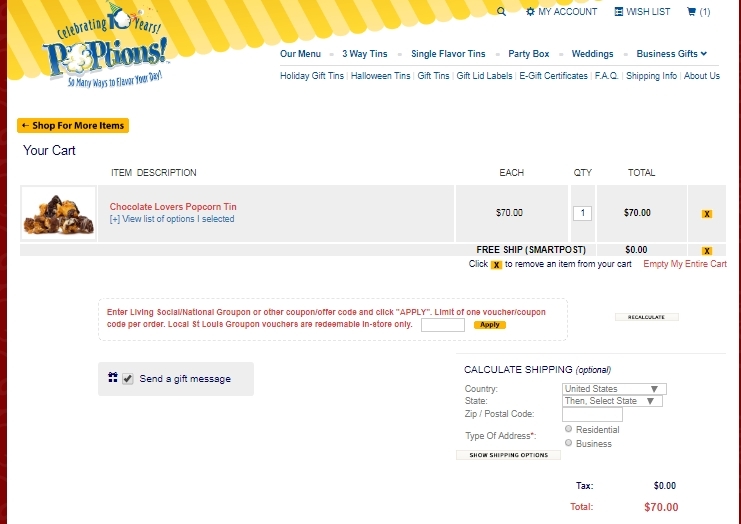 Your order of $55 or more at Poptions! 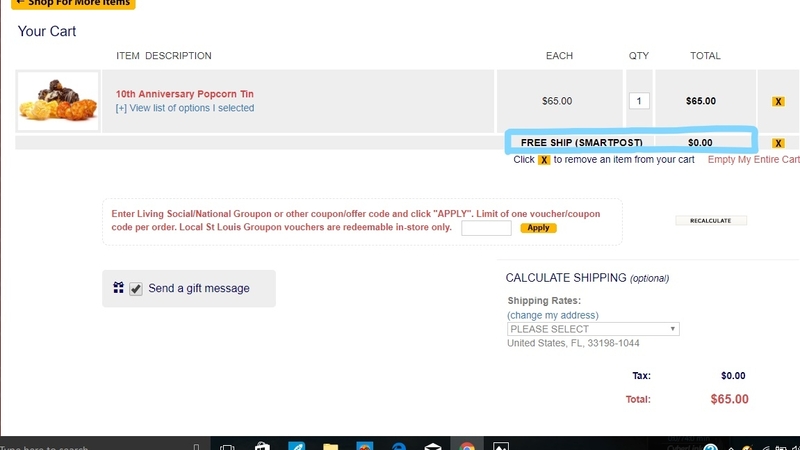 Popcorn will receive free shipping by redeeming the promo code FREE SHIP on the promo code box at checkout. All free shipping orders will ship via FedEx SmartPost (6-8 days transit). Ana excellent deal for this store. nice offer for this days. just enter the code at shopping cart to apply the free shipping. @rockstahshoppah Tested this promo code for Poptions! Popcorn and verified that it works as described. Just enter the code at check out to get Free Shipping on Orders Over $55 or More. Marwins Nunez Valid online only. Use this code at checkout after you are done shopping. The offer mentioned is correct. Everything works correctly. Marwins Nunez Thus, if you're using a Groupon/Living Social/SaveLocal or similar voucher, your order is not eligible for free shipping. Make sure to enter the free shipping code in the "apply coupon code" box on the Your Cart page. Minimum purchase of $55 to qualify. All free shipping orders will ship via FedEx SmartPost (6-8 days transit).